Becoming a Public Relations Writer is a comprehensive guide to the writing process for public relations practice. Using straightforward, no-nonsense language, realistic examples, easy-to-follow steps, and practical exercises, this text introduces the various formats and styles of writing you will encounter as a public relations practitioner. A focus on ethical and legal issues is woven throughout, with examples and exercises addressing public relations as practiced by corporations, non-profit agencies, and other types of organizations both large and small. 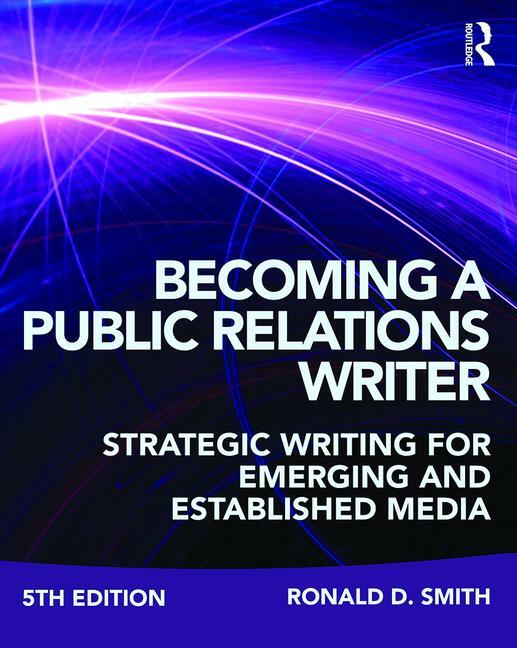 In addition, the book offers the most comprehensive list of public relations writing formats to be found anywhere—from the standard news release to electronic mail and other opportunities using a variety of technologies and media. New and updated information on research into persuasion and social psychology aimed at helping readers be more influential in their writing. Significant updating on a new chapter on multimedia, introducing a new transmedia format for a comprehensive news package for print, broadcast, online and social media. Expansion of a chapter on websites, blogs and wikis. Expansion of the chapter on direct mail and online appeals. Updated examples of actual pieces of public relations writing. A companion website with resources for instructors and students, including a glossary, flashcards, exercises, and appendices on ethical standards, careers in public relations, and professional organizations. Through its comprehensive and accessible approach, Becoming a Public Relations Writer is an invaluable resource for future and current public relations practitioners. Ronald D. Smith is Professor of Public Communication at SUNY Buffalo State, where he formerly served as Chair of the Communication Department and Associate Dean of the School of Arts and Humanities. He is an accredited member of the Public Relations Society of America. In addition to Becoming a Public Relations Writer, Ron has written two other textbooks, Strategic Planning for Public Relations and (as co-author) MediaWriting, as well as an introductory book Public Relations: The Basics.